Mercedes-Benz is a brand that is synonymous with class and luxury. Since inventing the world?s first car in 1886, Mercedes expanded its range to introduce it signature elegance to numerous market segments. 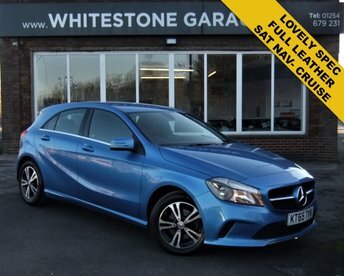 At Whitestone Garage, we stock an extensive range of quality used Mercedes-Benz cars, from the practical C-class family estate to the comfortable C-class saloon. Whatever your preferences, discover your next car here in Blackburn today! The team would be happy to help you secure a fantastic deal on the perfect used car for you. Get in touch for advice by calling or emailing, or make your way to Blackburn to see our current range of used Mercedes-Benz models and more for yourself.